We have always complained about trojan horse viruses that invade our computer system and render our files inactive, but do you know that there is good news about a trojan horse? It can kill cancer cells. The "trojan horse" therapy, this time I am talking about human body system, has the potential to directly target cancer cells with chemotherapy, rather than the current treatment that sees chemotherapy drugs injected into a cancer patient and attacking both cancer and healthy cells. I hope this will work effectively, so that my friends who are on stage 2 cancer will recover from this deadly ailment. The death of Michael Jackson spurs the mainstreaming of viruses and spywares in the form of emails and blogs to computers. Beware internet users and bloggers. It is always best to play safe so we will not be infected. I was told by a friend not to open messages or emails from people whom I do not know. I used to click and open messages then even from people unknown to me. Now, I don't dare open them anymore. This is my son's favorite game. You might be interested to get this played by your son or any of your children, too. Buy a virtual currency for World of Warcraft Gold or WoW Gold. You or your child will certainly enjoy more and have more fun in the game. It is a great experience to play this game that is backed by a million users all over the world. You get a complete 100% money back guarantee on all orders if you are unsatisfied by the product. So, come on give your children a different level of enjoyment in games. I feel sad with what is happening in Iraq. Many lives have been spent in the chaos happening in the demonstrations against the government. I hope there will be a communication between the government and the demonstrators so that they could come up with a compromise. Iranians fighting against Iranians is a blatant incrimination against its own race. Making a house beautiful can be expensive. 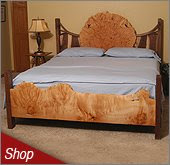 However, there are home furnishings that are strikingly beautiful but costs less on your pocket. For your house lightings, for example, try to install quality and beautiful Premier Lighting. Iy won't hurt your pocket that much especially if you sign up at ShopPremier.com you be sent a one-time coupon code worth 5% off the sub-total of your order. Visit its site now. I love antiques. Maybe this is due to the fact that my parents loved it, too and almost all our frnitures in the house then were made of it. Or, it maybe because I just love the simplicity of beauty of a rustic furniture. I just love to own rustic furnitures because its made of woods that show the natural beauty of its wood grains showing its age and its strength. A rally is to be staged in Manila in protest for the passage of an amendment to the Constitution especially the change of government. If I were in Manila I will join this protest since I don't think it is needed in ths country. What is needed is the change in the system and not change in the Constitution. I work for the government for a considerable number of years now and I know that an amendment in the Constitution is merely a political maneuver to achieve the personal gains of some people in the government. I am against an amendment of the Constitution because the Constitution for me is good enough. What is to be amended are the bureacratic systems that are the roots of corruption and graft in the government. The Constitutional Assembly is being revived by the legislators in both chambers of the legislative system here. This is with the aim of making amendments again in the Constitution of the Republic of the Philippines to amend the present form of government from presidentail into a parliamentary form of government. Heck, the problem is not with the form of government. The problem lies upon the people ruling the government. The people who are on top do not want to step down anymore for their vested interests. I go for reforms but not in the form of government but for reforms in the bureaucratic systems of the government. My laptop is such a pain in my head. I am too slow to type. The keys are so sensitive that I got so pissed this afternoon when I was writing my post. I may have accidentally hit a key that made me exit in the current page I was posting. Everything I wrote was not saved. Grr, I did the post all over again! Maybe I don't need a keyboard and mouse for it, as I have planned to. I need to buy more patience. Angelo was right. I need to acquaint my fingers to it.